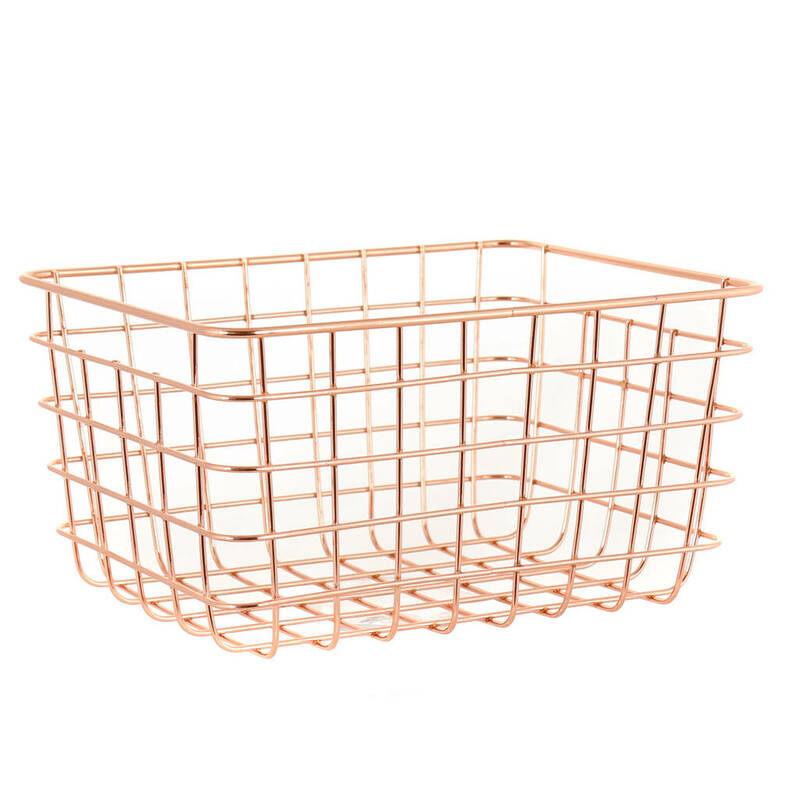 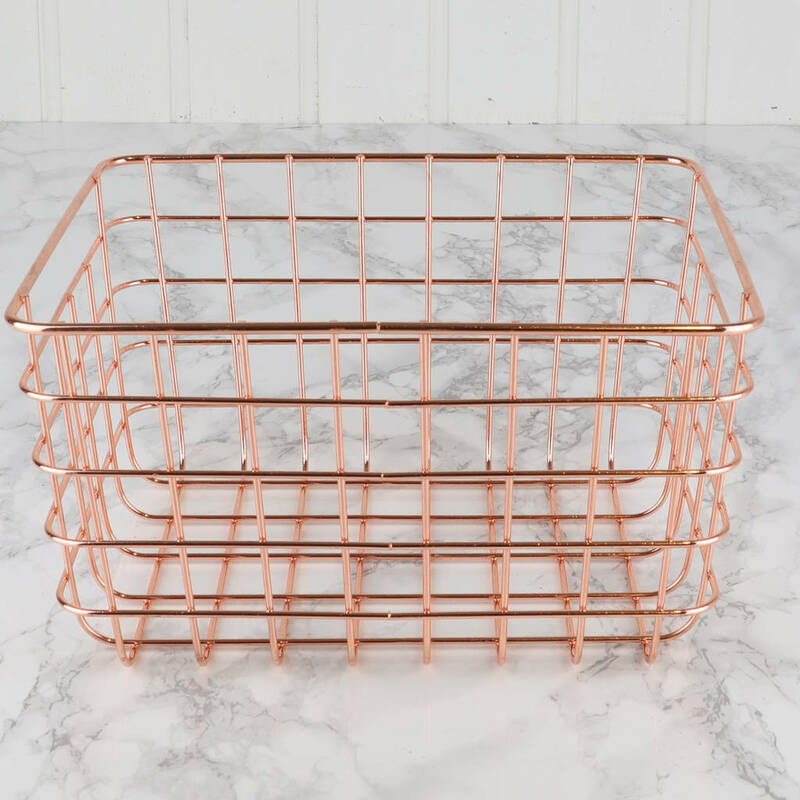 This on trend copper basket is perfect for keeping your home organised and clutter free in style. 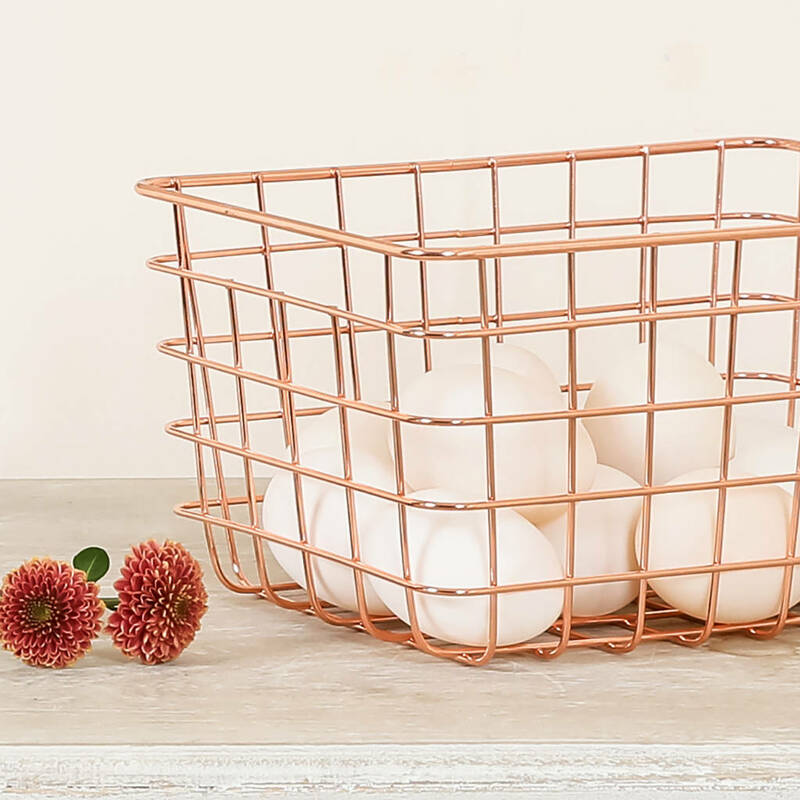 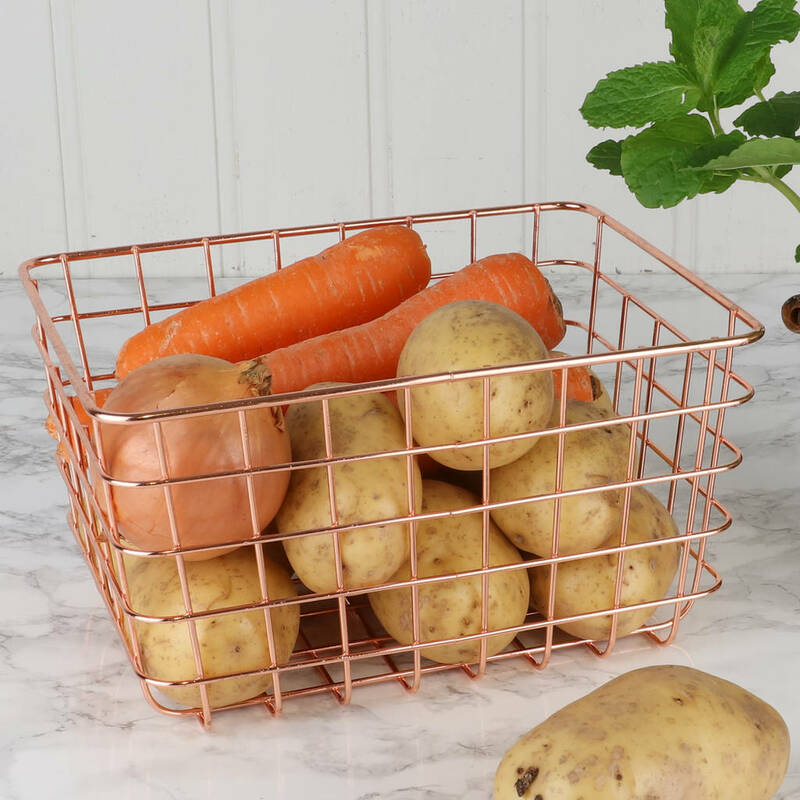 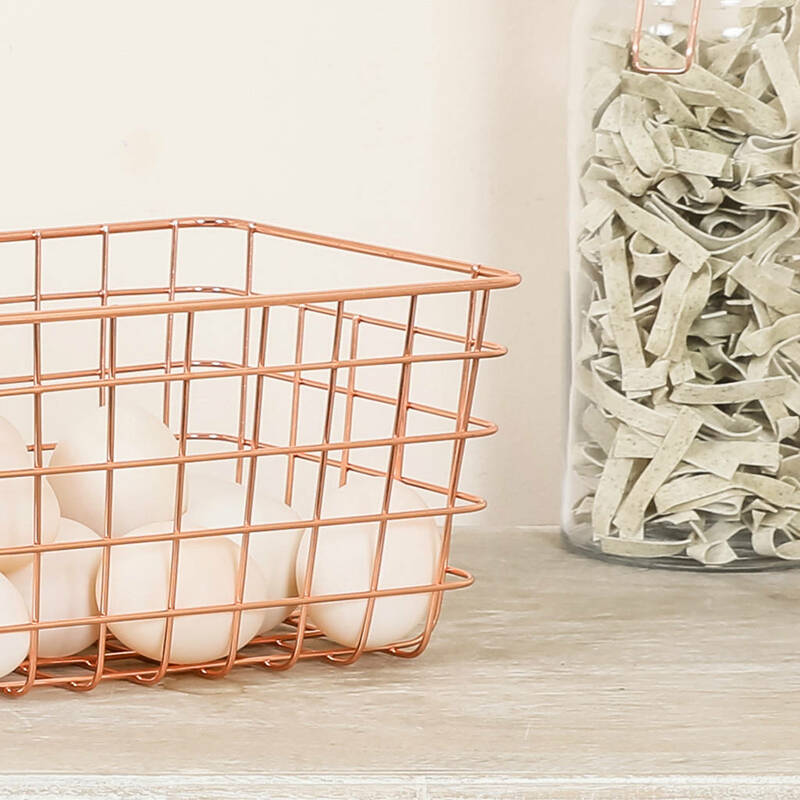 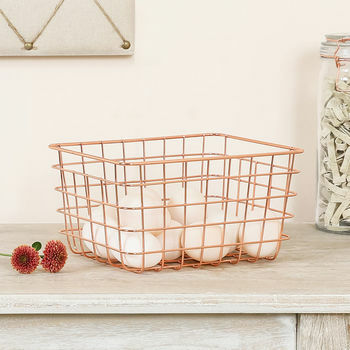 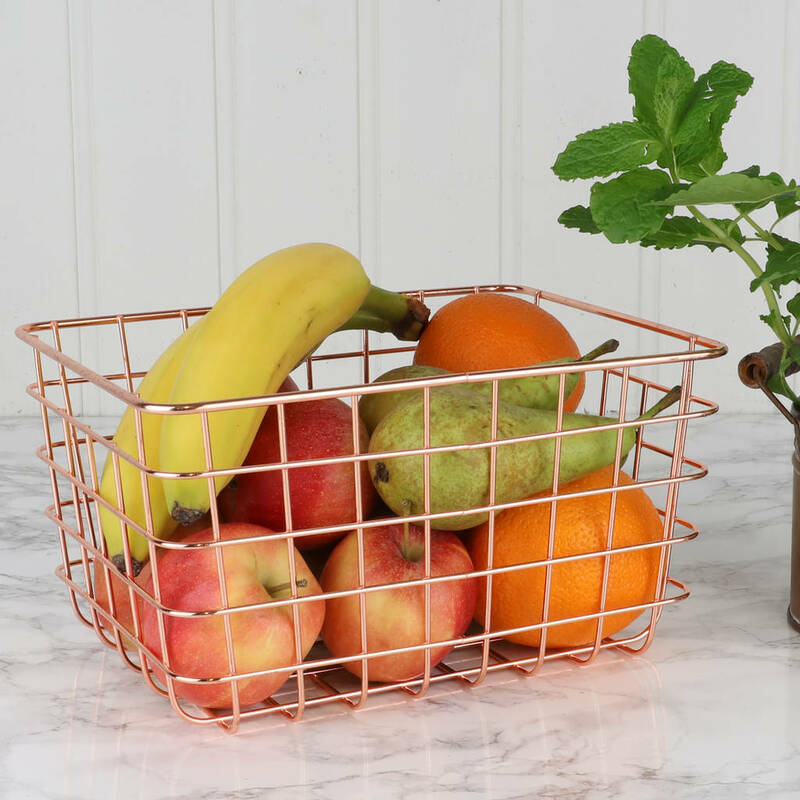 Decorative and versatile, the practical basket is made from lightweight, yet durable wire with a bright copper finish that's deisgned to bring a modern touch to any interior. 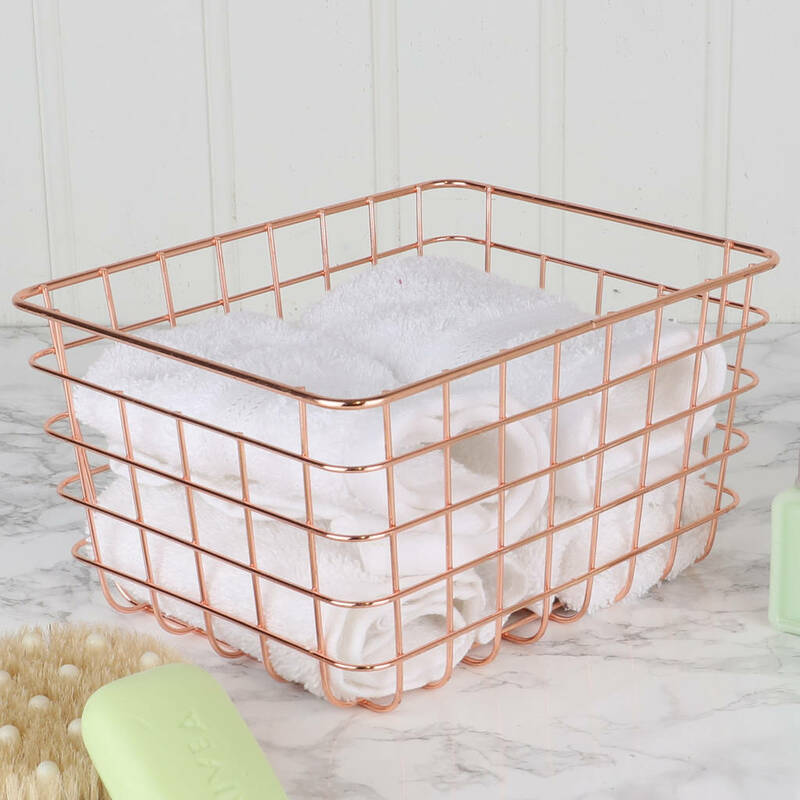 Generously sized to hold a multitude of items, you can display this wire basket in a living room or bedroom to hold books and accessories, or even to store toiletries in the bathroom. 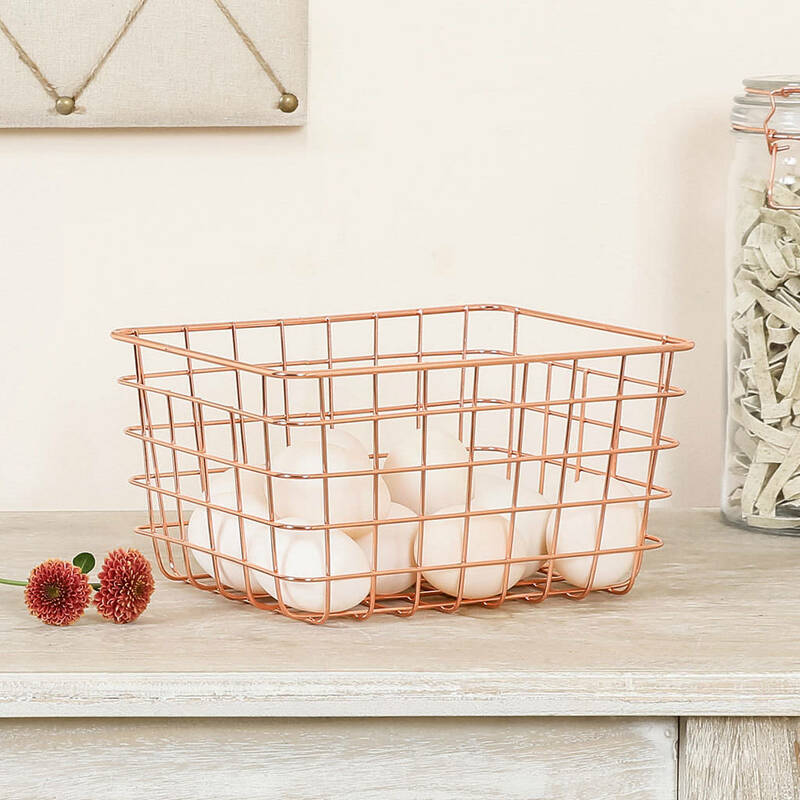 For an alternative look, fill with fresh produce as contemporary kitchen storage. 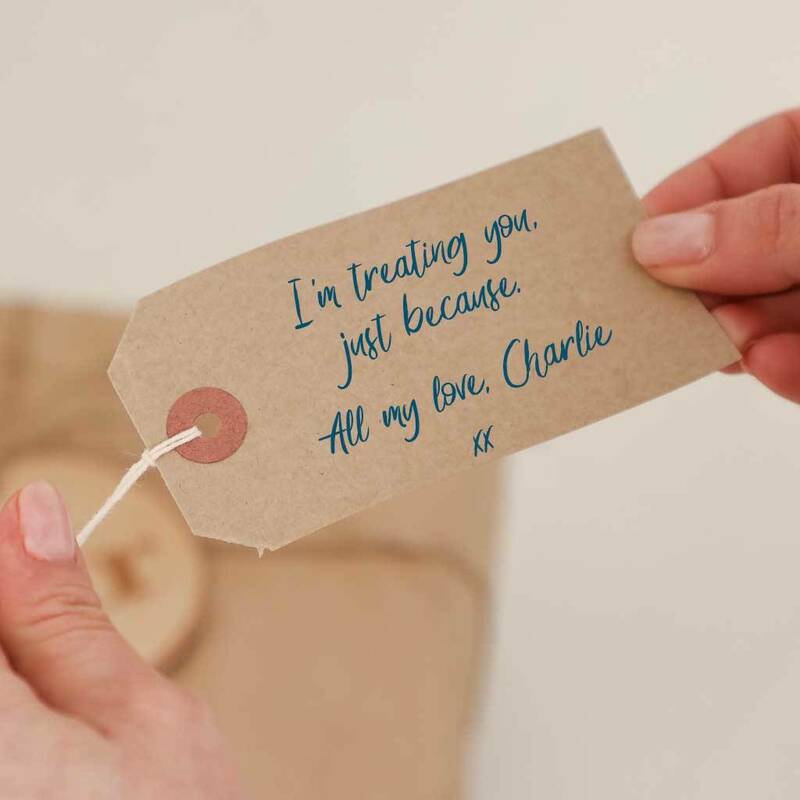 Available to purchase as a single or a set of two.